Even though Holland isn't one of the biggest countries in Europe it is a land of quite a few well-known audio brands. Most audiophile at least heard about Van Den Hul or Siltech, some also about PrimaLuna. I won't even mention Philips as from audiophile's point of view nowadays that's only a brand name of some NOS tubes. I don't think that Array Audio sounds familiar to too many people in our country and I believe we are not alone in this lack of knowledge (it would at least seem so from my quick web search). It looks like this company hasn't really cared about commercial success, but recently they decided to change that. Thanks to Polish Distributor High Fidelity is among first audio magazines that has a chance to review some of Array Audio products. A you will soon read for yourself I really enjoyed reviewing these devices and I'm glad I can share my experience with you. Joseph Haydn, Les sept dernieres paroles de notre Rédempteur sur la Croix, Le Concert des Nations, Jordi Savall, Astree, B00004R7PQ, CD. Holst, The Planets, DECCA, SXL6529, LP. Albeniz, Suita Espanola, KIJC 9144, LP. Kate Bush, The sensual world, Audio Fidelity, AFZLP 082, 180 g LP. Patricia Barber, Companion, Premonition/Mobile Fidelity, MFSL 2-45003, 180 g LP. Janis Joplin, Greatest hits, Columbia, PC 32168, LP. U2, Joshua Tree, UNIVERSAL, UNILP75094, 180g, LP. I wasn't able to find too many information about Array Audio – their web page is still mostly in Dutch, which in my case is limited to very few words. If you check the website you will find some links to English reviews of some devices but all of them come from time when Array Audio products were sold under Van Den Hul name, so the reviewers treat them as VandenHul products which means those reviews did not contain any information about Array Audio company. Left with no option I contacted one of Array Audio's owners – Mr Willem van der Brug - and he was kind enough to offer some information about company's history. „The company started in 1995 and was founded by Chris van Liempd and myself, Willem van der Brug. Chris and I were both signal processing specialists for Philips Medical Systems, one of the top-3 radiology companies in the world. We knew a lot about state-of-the art signal processing, so when a friend of ours bought a tube amplifier we naturally laughed in his face. Only to be humiliated when he invited us to a listening session and compare the tube amp with our perfect measuring transistor amps. The tube amp was superior in all important aspects: imaging, liveliness, even transparency. We were flabbergasted. What followed were 15 years of trying to find out how to make transistor amps just as good, and now better. We have learned a lot about phase noise and how the spectral distribution of that phase noise and correlation with the audio signal causes loss of imaging as well as "dullness", a total absence of emotional binding, warmth and dynamics. In 1997 we found out how to make an amplifier with good stereo imaging and started selling those, in 2000 we discovered thermally induced memory distortion (Pioneered by Lavardin, see http://peufeu.free.fr/audio/memory/). Also in 2000 we associated with Mr. Van Den Hul, who was impressed when he heard our products in the PolyDor studios for SACD mastering (who had in the meantime purchased our amps). He wanted to sell our amps worldwide under the VDH brand name. We did so for 2 years after which different insights parted the companies. In the last 7 years we have further pioneered improvement in the area of tonal correctness, "Lebendigkeit" and imaging. A radical new design (the first to be 80% new compared to our original 1997 products) has been implemented, the S-10 stereo power amplifier, which takes a next step in lowering midfrequent thermal modulation and phase noise to start to create a mid frequency band sounding much like tubes. Our M-10 monoblocks, not yet available in Poland, are vitually impossible to distinguish from tubes except that they sound so much better in tonal accuracy (bass slam, low coloration in mid-high). I received this text after I finished listening sessions so my impressions were not affected by it in any way. But why during tests I tried to answer questions about this system asked by some of my friends I told them that it was incredibly transparent system, though surely not over-analytical nor dry sounding – just in opposite it's second strongest advantage was its musicality. People who knew me were surprised as they were aware that I was “a tube guy” and suddenly I was praising solid-state, that in general I usually described as “dry sounding, analytical, and their performance as lacking … music in it (in general with some, usually very expensive, exceptions). But let's not rush things up... . 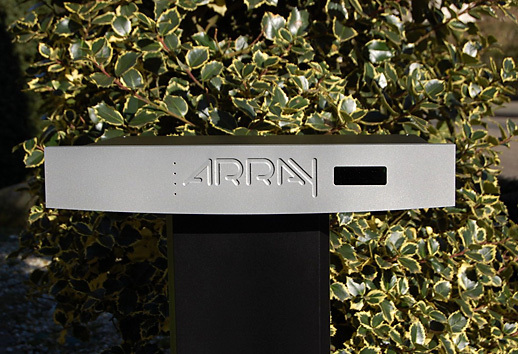 The look of Array Audio devices is quite special. Why? Because there are no push-buttons, knobs or whatsoever on their fronts – there are just four LEDs in vertical column, plus linestage and phonostage are equipped with small displays. That's still not all. Linestage and phonostage don't have on/off buttons (and their front panels are identical by the way). Only on the back of power amplifier there is on/off switch. So it become clear that one needs a remote control to operate these two devices and that includes also turning on and off. If you think about it you will probably agree that this is a good idea at least until you can't turn on your system because of dead battery and no replacement handy… . Not to worry – this won't happen often enough to be a problem. Another surprise is … a universal Philips remote control. Have a look at what Mr Willem van der Brug said – company focused all its efforts on achieving top level of performance of their devices – surely remote control doesn't directly affect sound quality, so why bother designing and having manufactured a special one (or a couple of them for that matter). Why not use an universal one – this will spare you a lot of effort and costs. This Philips remote worked perfectly once I had read a short manual (which is always advisable). It comes originally packed so I assume it is not tailored for Array Audio's needs. My guess – Array Audio uses some of this remote pre-programmed functions to operate whatever they need for their linestage and phono. In my opinion that's very reasonable approach, I would even suggest other manufacturers to follow in Array Audio's footsteps. They will save some time they might used for improving performance of their devices and there is additional bonus for Customers – they get an universal remote they may use also with their TV set, DVD or BR player, or some other devices. I bet most of them will appreciate it. Both linestage and phonostage operations are based on relays and thus manufacturer informs in the manual not to worry when you hear relays switching after you plug these devices to power outlet (as none of them has on/off switch). Obsydian A-3 linestage is equipped with four RCA inputs, tape and a single RCA output. Switching between inputs is possible executed with the remote control. Basing day-to-day operations would be volume control as the preamplifier seems to recognize an input with active signal. When a VOL button is pressed once shortly the volume will change by a single (half dB) step. When the VOL button is kept pressed the volume will at first alter slowly and later with increasing speed (incremental autorepeat). The speed at which the volume changes can be set to three different values. In standard your Array Obsydian is set to a speed that is most comfortable to the average user. When desired it is possible to program this speed to a higher or lower value. There is also another smart and useful programmable feature that will deal with different signal levels from different sources. This linestage is equipped with a function that allows one to set and program compensations for such level differences. 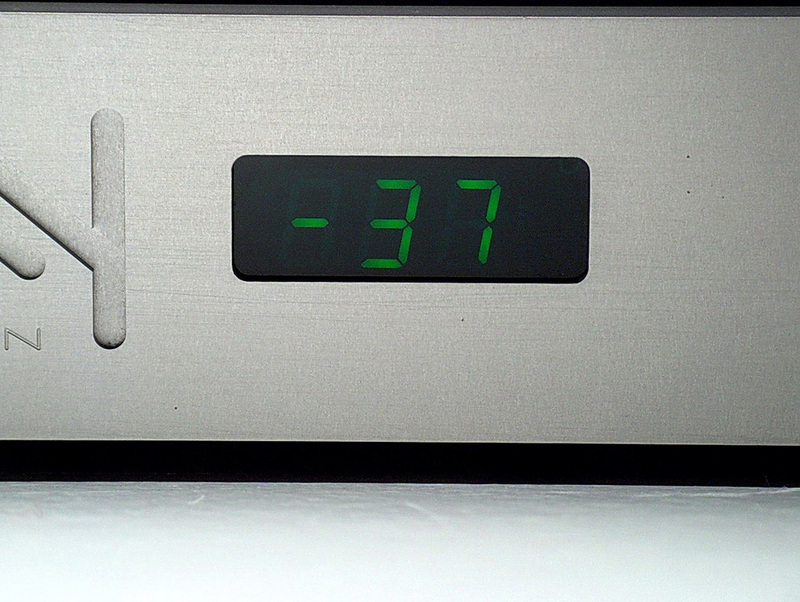 Afterwards, when switching between inputs the volume will be automatically equalized. Obsydian phonostage works with both MC and MM cartridges but there is only single input. Depending on the cartridge used all the settings might be adjusted with remote control including gain and thus there is no need for separate inputs for MM and MC cartridges. Manufacturer decided to make user's life easier and offered preset settings for MM and MC that can be set by use of single key on remote. Of course these are some average settings of gain, input resistance and capacitance that can later be adjusted according to cartridge's requirements or owners preferences. There are 12 different gain settings starting from 42 up to 77dB which means that it will work fine with any cartridge. Another adjustable parameters are: input capacitance starting from 100 up to 810 pF (selectable values are: 100, 200, 320, 420, 490, 590, 710, 810 pF), and loading (resistance) from 100 Ω up to 47 kΩ (selectable values are: 100, 135, 160, 250, 350, 1K, 10K, 47K). Additional selectable option is a subsonic filter that might be turn on or off. All present settings might be checked on device's display, although not all at once unfortunately. Power amplifier S-10 sports both RCA and XLR inputs. Manufacturer clearly states in the manual that if RCA connection is used user has to use also additional grounding cable connecting power amplifier with one of the empty inputs in preamplifier. 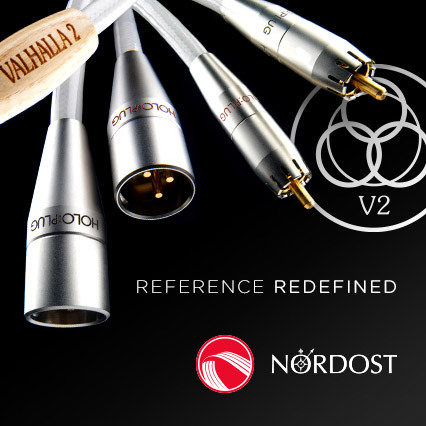 In general XLR connection is recommended even if preamplifier isn't a balanced device (just as A-3 is not) – in such case user might use some good quality RCA/XLR adapter. S-10 sports also high quality WBT. The sound of this set was hell of a surprise for me. I am a great fan of tube devices – can't help it. Most of reasonable priced solid-state amplifiers have many strengths but in my ears they lack one thing - music (that's my private opinion and not an objective fact!!). Surely there some exception – I own myself Dan Wright's (ModWright) solid-state power amplifier called KWA100SE, that offers wonderful midrange matching this of many good tube amps, keeping still all advantages of SS device. I still kept my 300B SET but Modwright is much more useful when reviewing different devices and not only it “doesn't hurt” when I have to use it, but I really enjoy its sound (especially when paired with LS100 preamplifier). It is so good that don't have to worry what happens if for whatever reason I have to get rid of my beloved SET – I will be able to keep enjoying my favorite music without missing my tubes too much. 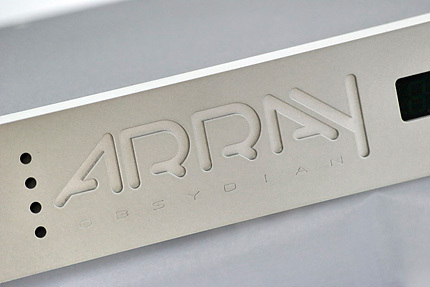 Array Audio solid-state set delivers different kind of performance, though. Here the first impression is not about dense, smooth, liquid midrange (as it is with Modwright) but about amazing transparency of the sound. Transparency is accompanied with lots of details and great precision of presentation but it is the transparency that amazes even shocks from the very first moment. I started listening sessions with my favorite performance of Beethoven's 9th Symphony – this time I was truly impressed! I use this recording quite often to test reviewed equipment and sometimes I was impressed with powerful presentations, sometimes with exceptional precision or ability to deliver whole dynamic range of the orchestra. But this time presentation was extremely realistic because of this outstanding transparency and high resolution that allowed to follow each and every instrument in the orchestra separately. Not in a sense of listening to a group of separate instruments – it was still a fabulous collective effort, but as during the live concert also here I was able to pick one instrument and follow it without loosing the “big picture” from my sight.